The three Graham brothers first established themselves as builders of solid, dependable trucks in the 1920s. In 1926 Ray, Joseph and Robert sold their profitable commercial truck business to the Dodge brothers. Wanting to enter the car market the Graham brothers bought the ailing Paige-Detroit who had built up-market automobiles, but whose lower priced Jewett had done nothing to increase the company’s financial decline. Graham-Paige Motors Corporation was founded in 1927. With a line of eight-cylinder and six-cylinder cars G-P production reached 73,195 cars in 1928. Encouraged by the success of the current line-up, more eight-cylinder cars were added for 1929. Numerous international speed records were broken by G-P. Unfortunately the stock market crash hit G-P hard and sales fell to a mere 33,560 units in 1930 – less than half than that of the previous year. In 1933 the Grahams had begun experimenting with superchargers. A supercharged V8 was driven by Cannonball Baker from coast-to-coast in a recordbreaking 53.5 hours. In 1934 Graham introduced the supercharged engine in their Custom Eight. 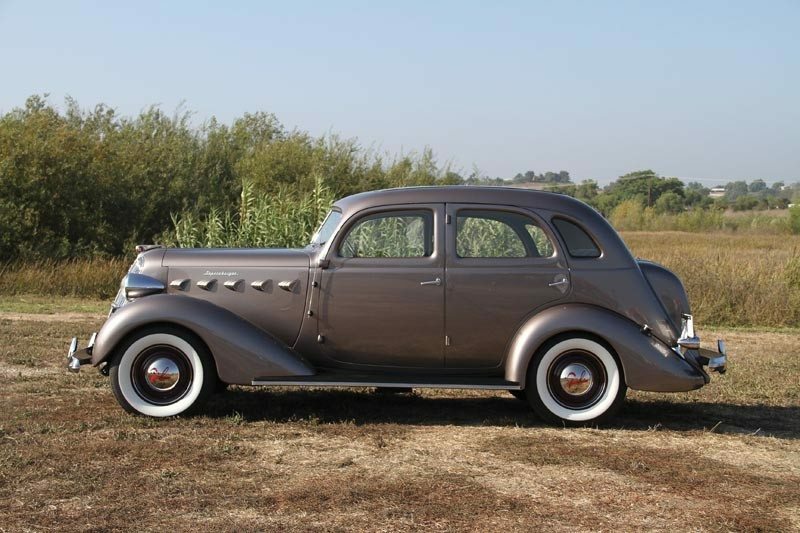 It was the first time a supercharged engine had been offered in the popular mid-priced field. The super-charger was very similar to a Duesenberg design with a large aluminum impeller and housing mounted horizontally just under the carburetor. The resultant increase of the added supercharger was nearly a third more horsepower from 95 to 135hp. 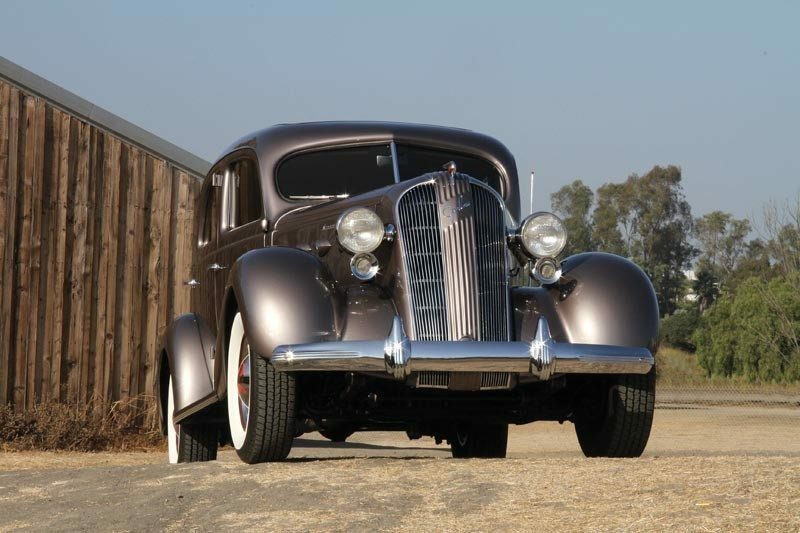 In 1936 Graham dropped its eight-cylinder models in favor of sixes, including a supercharged version. Gone too, was the expensive “banjo frame” replaced by a more common side rail design. This stylish 1937 Graham Supercharged Business Coupe is believed to be a very original example with a mere 19,180 miles showing on its odometer. Fitted with Graham’s all-steel body, the panel fit remains in as good a condition as the day it left the factory in 1937. The six-cylinder supercharged engine in this Business Coupe has never been apart, but the carburetor was recently rebuilt and a new exhaust was fitted. Inside, the original brown cloth interior has held-up to the test of time very well. 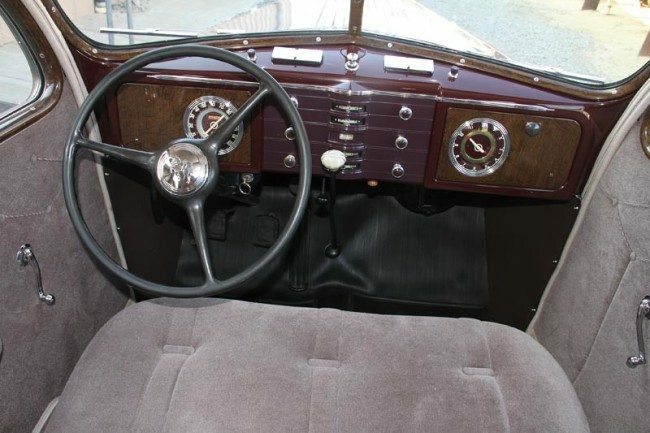 The stylish period dashboard contains all the original gauges – including the 120mph speedometer, and the factory banjo steering wheel also remains. 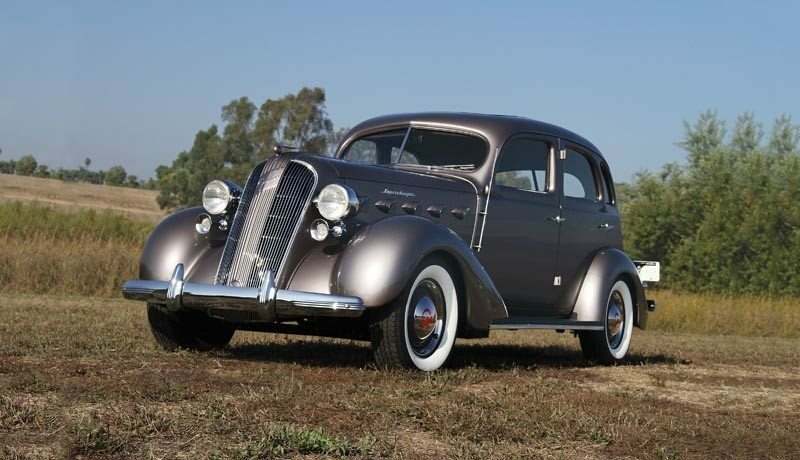 This 1937 Graham Supercharged Business Coupe also features such amenities as dual horns, original wind wings, a factory installed heater, visors and a rear window roll-up window shade. If you have a Graham-Paige or another collectible you’d like to insure with us, let us show you how we are more than just another collector vehicle insurance company. We want to protect your passion! Click below for an online quote, or give us a call at 800.678.5173.